With each and every kind of cap cultural, behavioural and symbolic connotations are created. These change and mutate over time, acquiring diverse and varying meanings. The Laurel wreath represented the symbol par excellence of martial glory and it was awarded to successful generals during their triumph. It was also used as an award in sporting competitions and ,during Imperial times, it was worn by emperors as a symbol of power, victory and success. This image is tightly linked with the Ancient Olympic Games which began in 776 BC in Olympia, Greece ( from which they get their name ) and it was subsequently adopted by the Romans. 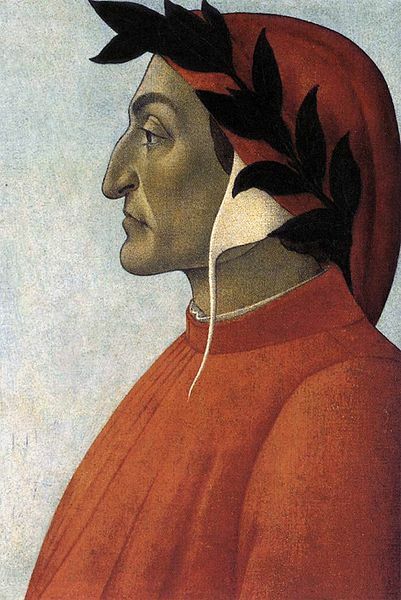 During medieval times the Laurel wreath was also used as a crown or wreath of honour for poets – a recurring image of which is that of the great Italian poet and philosopher Dante Alighieri wearing a Laurel wreath. Deriving from the Latin Laurea Isignis, the Laurel wreath is still used to this day in the graduation ceremonies as a symbol of the master’s degree. 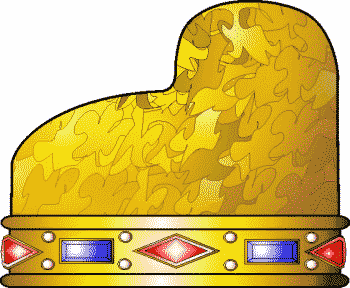 In classical antiquity, the crown was occasionally awarded to people other than rulers such as soldiers who distinguished themselves in battle and triumphal military generals. In the Roman Republic, a victorious general would be awarded a crown after a particularly important victory when being proclaimed Imperator by his own army’s troops. Gold crowns, studded with precious stones are still used to this day by Royal families during important ceremonies in constitutional monarchies such as the United Kingdom. 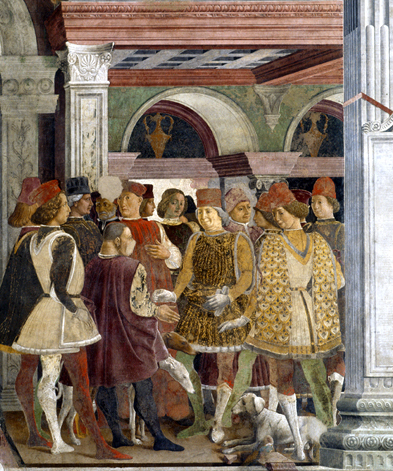 The Corno Ducale, also known as Unicorno, was a stiff horn-like bonnet, made of gemmed brocade and worn over the Camauro, a fine linen cap. This was a well – known symbol of the Doge of Venice, chief magistrate and supreme leader of the Most Serene Republic of Venice. It was worn for every occasion and only removed in the presence of the Pope. Through the years, the Corno Ducale was beset with gems and pearls and eventually abandoned with the fall of the Republic. Symbol of prestige and power, it still sits proudly on the flag/coat of arms of the city of Venice. 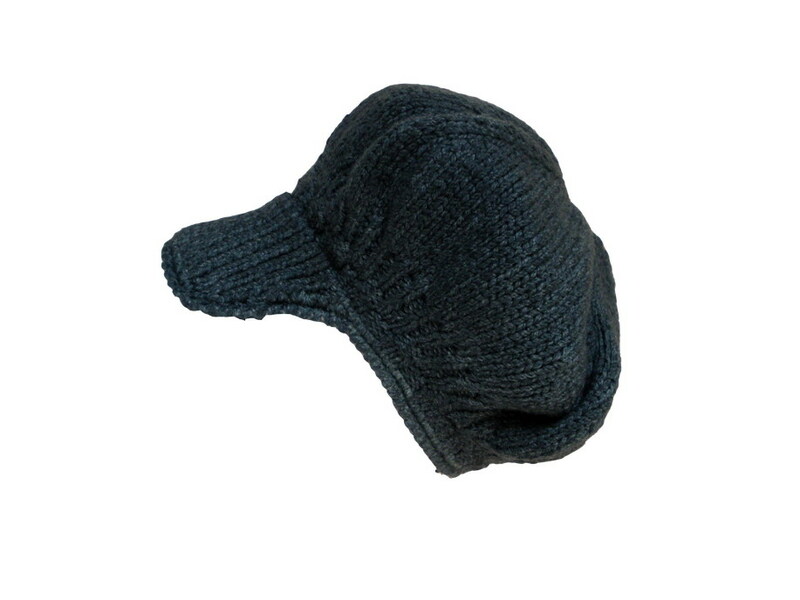 A ribbed, long knit cap from the famous Greek designer Angelos Frentzos. The long shape of this unusual cap evokes the style of the Corno Ducale in its modern take on such a grand and symbolic item. The Mitre is the cap worn by bishops during liturgical celebrations and occasionally by the Pope during official visits or important celebrations. There are different types – and colour - of mitres. They vary depending on the occasion and, over time , they have been decorated with gold and precious stones. The ( Papal )Tiara is not longer being used. 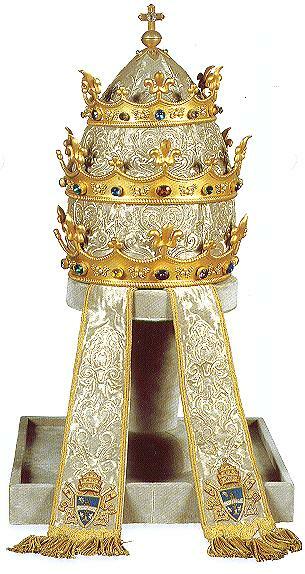 In the Roman Catholic Church it was worn by the Pope during certain celebrations. 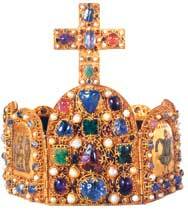 The Tiara of Pope Paul VI was the last Papal Tiara worn to date and it was last worn in 1963. It was then announced that the tiara would be sold and the proceeds of the sale given to charity. 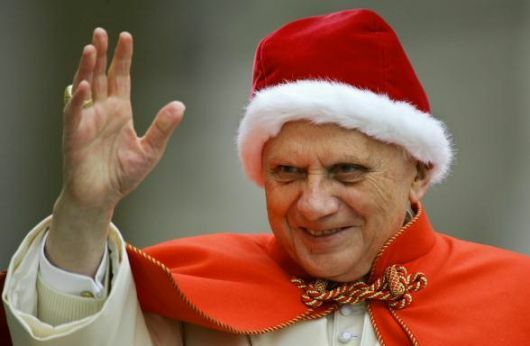 A Camauro is a cap traditionally worn by the Pope of the Catholic Church, usually in winter. Papal camauros are of red velvet with white ermine trim or swan feathers. The papal camauro fell into disuse after the death of Pope John XXIII in 1963, but it was revived in December 2005 by Pope Benedict XVI, over 40 years later. 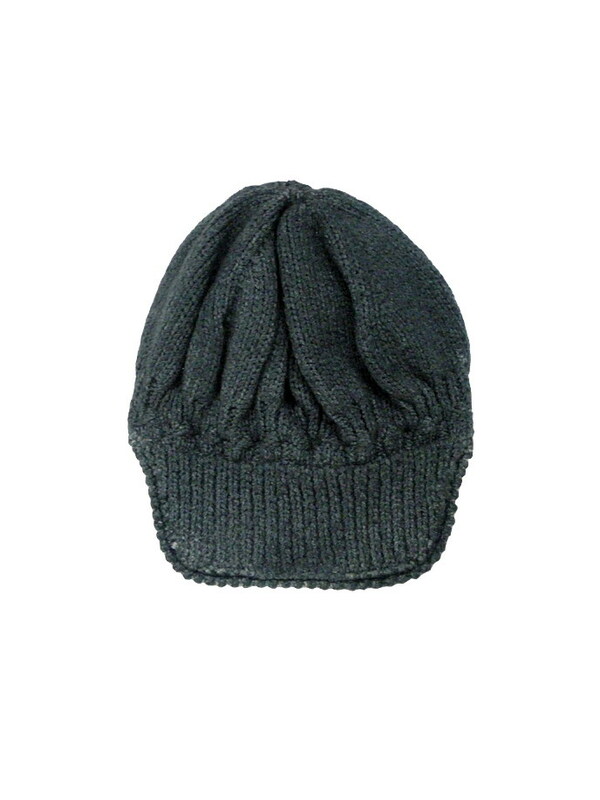 A extra – fine merino wool yarn cap with ribbed high canete’ from the celebrated Californian designer Rick Owens. 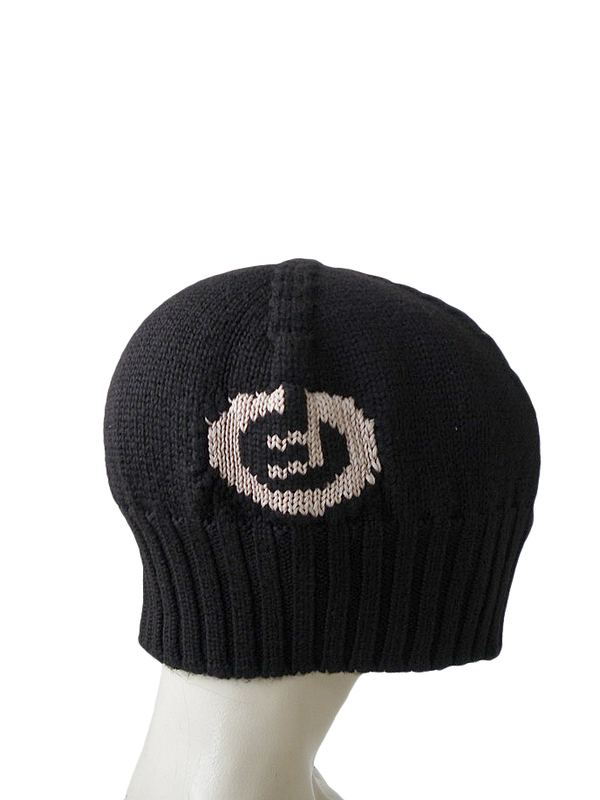 This item features an original logo in contrasting colours on one side. The cowboy hat is a high-crowned, wide-brimmed hat which helps to protect from the elements and some theories suggest it was waved by the cowboys to herd the cattle and occasionally used as a water bucket. It is an item of headwear typically worn by ranch workers in the United States, especially in the west and south, in Canada and Mexico (Latin America). 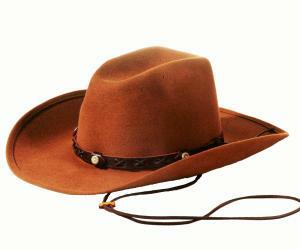 The cowboy hat is believed to originate from the Mexican sombreros and the hats used by the American cavalry regiments. Angelo Frentzos – the most important Greek designer of his age –with his comfortable yet elegant wide brimmed hats rediscovers the functionality of the cowboy hat. Made from original Florence straw, his hats are ideal to shield from the sun and the heat in warm climates, thanks to its lightness and coolness. And, of course, not without glamour : chantilly lace, Swarovsky strass chains, polished buttons and Gros grain strips to enhance glamorise, transforming them in elegant accessories, even for special occasions. A Chantilly lace model with a glittering Swarosvky strass chain, ideal for those moments of charming sensuality. 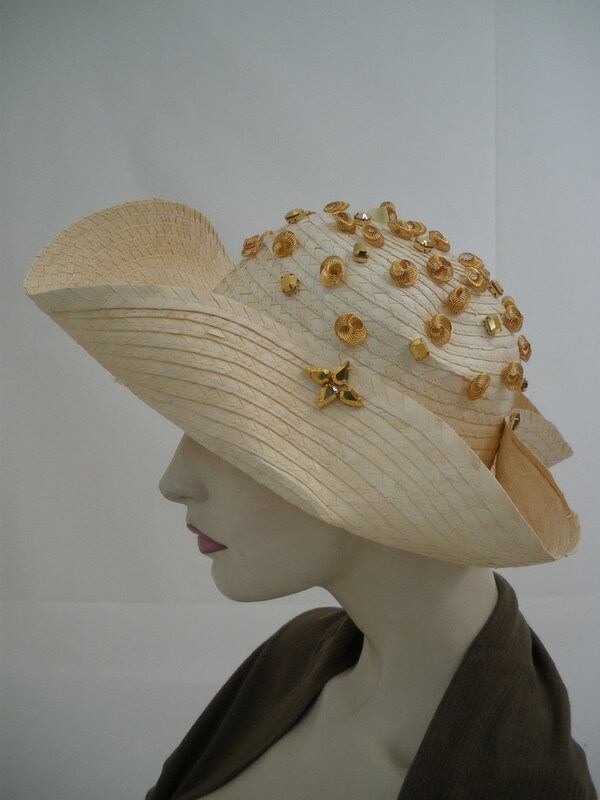 Shiny polished golden wire buttons and Swarovsky strass, to combine elegance with a touch of imagination. Black Gros grain strip, light and elasticated for a classy, unlimited comfort. 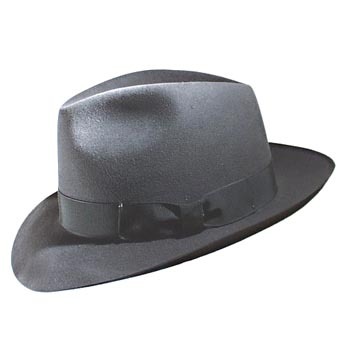 The fedora – know as Borsalino in Italy, from the well known Italian hat company – is a soft felt hat. It came into use during the 20’s as a men’s middle – class clothing accessory. In the 1900s men’s hats acquired a new, symbolic meaning compared to the previous century, highlighting their social status, to eventually become an expression of political affiliation. (Gregory Peck, Federico Fellini, Humphrey Bogart , in “Casablanca” to name a few). The fedora was often associated with prohibition-era gangsters - such as the notorious Al Capone -and the detectives trying to catch them. By the 1970’s its popularity continued to fall and it was usually only seen worn by older and/or more traditional men. Recently, however, the fedora is going through something of a revival and it can be found in a variety of colours and even worn by the younger and more fashionable men. The coppola is the traditional Sicilian cap, used in the early 1900’s as a “driving cap”- which meant that it was normally worn when at the wheel of a car . Its flat shape and tight fit, compared to the other caps of the time, made it the perfect choice for its use as a driving cap. Over time, The coppola quickly began very popular with the working classes, although there doesn’t seem to be any particular historical connection and it could often be seen proudly worn by figures of the more affluent classes. Usually made in tweed, the name coppola is believed to find its origins from the name “cap”- English word for a head covering – as a Sicilian adaptation of it. Subsequently, it began to be associated with the typical mafia figures, ultimately becoming one of the definitive symbols of that culture. A number of famous personalities also used to wear the coppola: from the Duke of Edinburgh to Picasso, John Wayne and the naughty Charlie Chaplin. The coppola is still used today, as a quirky accessory and for a different look. The coppola is often also associated with the Parisian maquereau (pimp) figures which could be seen wearing it. The American designers Jan and Carlos decided to re-introduce this French version of the Coppola, producing a younger, fresh, hand knitted take on it , with incomparable wearability. Jan And Carlos firmly believe clothing should be free from all conventions and transcend the seasons. By reinventing the maquerau style coppola, these extraordinary designers managed to create a new way to dress, outside the rules and rising above hypocrisy. 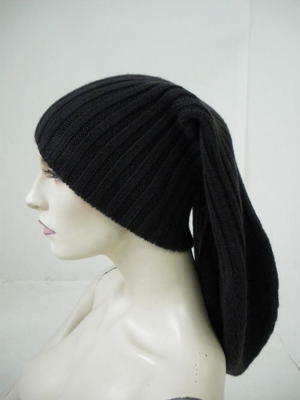 French style beret in thick hand knit wool, for a young and unconventional look. The Keffiyeh is a traditional headdress worn in the Arab culture, usually made from cotton and/or mixed with wool and silk. 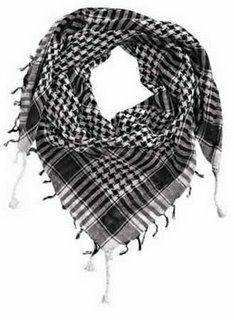 One of the peculiarities of Keffiyeh is connected with the - somewhat loose - associations based on its colours: a black and white keffiyeh is thought to be a symbol of the PLO and the Al Fatah movement , with the red and white thought to be the colour of choice for the PFLP supporters, whereas the green and white is possibly more closely associated with Hamas, due to green being the predominant colour of sunny Islam. It is also believed that during the 1930’s it became a symbol of Palestinian patriotism: Yasser Arafat was widely know for his constant use of a keffiyeh which became his distinctive trademark. Fashion has adopted this accessory producing it in a variety of colours and decorated with a number of pendants and other ornaments.